Gary Mcilravey, Manager of Market Research and our in-house expert at Empire talks low rise communities this week. Read on to get his take aways from the 2016 Land Conference. Last month, over 700 real estate and land development professionals attended the 2016 Land and Development Conference at the Metro Toronto Convention Centre. This event is part of the Canadian Real Estate Forums series, by Informa Canada. I had the pleasure of being a Panelist one of the days which covered a gamut of topics related to all types of land and development, particularly residential. Our session was “Low-Rise Developers: Do Opportunities Still Exist and How Are Established Builders Getting Creative in This Sector?” The context was an on-going theme that has underpinned many market overviews over the past few years; the declining supply of residential lot inventories to new record lows across the GTA. Coupled with fewer low-rise residential resale listings, this theme has created a huge and growing price gap between single family housing and condo apartment housing. This sharp escalation in single family prices is a result of declines in supply on the low-rise side, caused primarily by the Provincial Places to Grow and Greenbelt policies/legislation, which has limited new low-rise residential growth in most areas by limiting boundary expansions. This is pushing increased demand into higher density forms in the GTA (i.e. “growing up”) and pushing some buyers out further into the Greater Golden Horseshoe (GGH) to find more affordable low-rise housing. The issue is not only a GTA problem. It has become endemic to most markets in the GGH, especially in the west, from Hamilton to Niagara, to Guelph and into Waterloo Region, driving strong demand in many of these areas. It’s not just the opportunities for the low-rise developers that are waning, but also the opportunities for home buyers. The reduced inventory of lots is pushing people further afield, but part of the problem we now have is a lack of supply in these alternative, outlying areas. Thinking about a move to Guelph to find a single family home? Won’t be as easy you think. Guelph has virtually no new single family land left within its built boundaries. You’ll probably have to try Kitchener and even there, the choices are becoming more restricted. 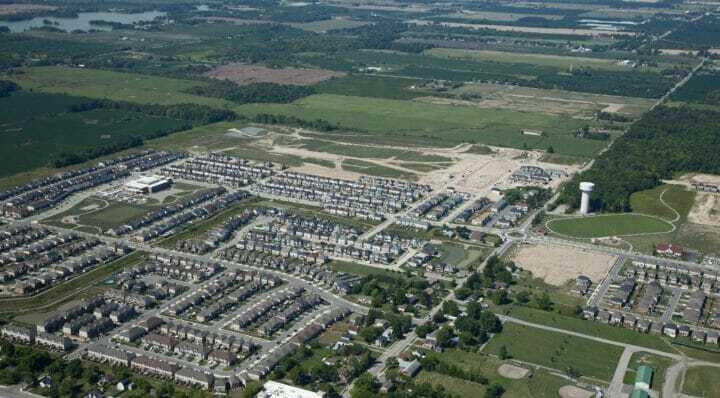 Andy Brethour, a long time industry expert and keynote speaker noted that the opportunities for low-rise developers are becoming increasingly scarce and are now moving out to new areas, such as Niagara, that previously had little demand. He pointed out Empire’s Summerlea as well as the other builders in Binbrook, south of Hamilton. “Remember this was once in the middle of nowhere, nothing but a water tank, and now it’s fully developed with thousands of homes. People are willing to “drive until they qualify”. In the meantime, developers and builders are continuing to innovate in order to bring affordable low-rise housing to the market. 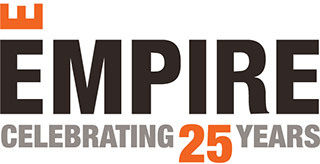 At Empire, we have introduced 27’ single detached designs as a more affordable alternative to a 30’ plan, for example (Empire Imagine; Empire Avalon). Back to back townhouses are another relatively new and growing market alternative. In places where only a few years ago demand was only for larger single family lots and townhouses and now seeing a demand for stacked and even stacked, back to back townhouses. What is clear is that this lack of low-rise housing supply won’t be going away. The Province has recently released proposed amendments to Places to Grow and the Greenbelt legislation, and has no intention of loosening the land supply strings, despite pleas from the home building industry. The intention is to tighten up densities further, to push more intensified growth into existing areas and to continue to force growth to grow up, not out. And while higher densities are a requirement to manage growth and use resources more efficiently than subdivision development, Places to Grow effectively means Prices to Grow. If a single family home is what you want, start driving – preferably to one of our Empire communities – and buy soon. In less than a decade, your opportunity to do so might be history. Gary Mcilravey is Manager, Market Research at Empire Communities. Gary has over 25 years of experience working in the Toronto and across the southern Ontario housing market. Prior to joining Empire, Gary’s experience includes many years as Vice-President of a leading Toronto research and consulting firm, then principal of his own research firm, followed by over 15 years working in the “front lines”, as the marketing and sales director with three different building corporations, spanning both the high rise and low-rise sectors. Gary’s rare combination of substantial academic and business research experience, combined with ground level experience as a marketer of many new home communities, from start to completion, provides him with a unique and long-term perspective on the southern Ontario housing market.